Learning Resources supporting students understanding of the nutrition in their food. Build on prior experiences working together to share and examine their own and others’ knowledge. Ask questions, find evidence, explore simple models and carry out appropriate investigations to develop simple explanations. Relate the observed characteristic chemical and physical properties of a range of different materials to technological uses and natural processes. The learning resources incorporate activities that explore budgeting, planning and shopping for meals based on students’ understanding of nutrition information. Students use the virtual supermarket and FoodSwitch application to better understand nutrition information. To download the Virtual Supermarket for Windows, click here. The virtual supermarket is a three dimensional (3D) computer-based supermarket. Students will navigate this virtual setting with their trolleys. Through the use of traffic light colours and nutrition information of foods, students will be equipped to make smarter choices when deciding between similar foods. 2) Save the zip file in a folder called "Virtual Supermarket" in the My Documents folder. 3) Right click on the zip file and select WinZip, extract to there. This will extract a folder (SuperMarket_NZ_win_demo_Data) and an .exe file (SuperMarket_NZ_win_demo.exe). 1) Double click the .exe file (SuperMarket_NZ_win_demo.exe) and select RUN. 2) Select the screen configuration for the Virtual Supermarket to define the size the programme will appear on your screen. Ticking ‘Windowed’ means that the Virtual Supermarket program will play in a smaller sized screen. This allows students to have access to other programmes on their computer (activity instructions, recording data, etc). Then click on 'Play!’ to start navigating around the Virtual Supermarket. For more information about FoodSwitch please click here. FoodSwitch is a smartphone application that also helps us make healthier food choices. 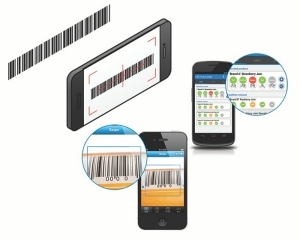 FoodSwitch allows you to scan the barcodes of packaged foods at the supermarket or at home, using the camera on your phone. FoodSwitch then presents immediate, easy-to-understand information about that product’s nutritional make-up. Using different colour-coded system (red, amber, and green), it’s easy to see whether a food is less healthy, okay or a healthier option based on its total fat, saturated fat, sugar and salt content. 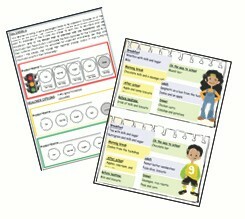 A list of healthier choices is also displayed to help make healthier choices. To ensure the safety of everyone involved in the community, access to groups is via a secure login. Teachers wanting their students to participate in a group must provide LENScience with a class list including the name, date of birth and email address for each student.